Gov. 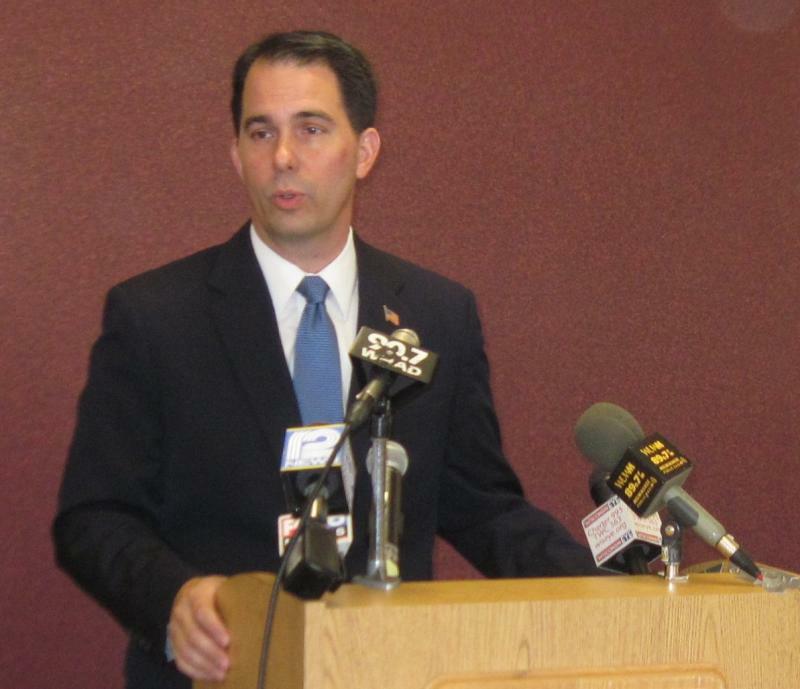 Walker raised eyebrows Monday, when he indicated he might consider curbing the power of police and firefighter unions. Walker exempted them from Act 10. It left other public unions with only the right to bargain for limited wage increases. The governor said at the time, in 2011, he did not want to take the chance that police and firefighters might walk off the job and put public safety at risk. “Having seen that the world didn’t come to an end for other municipal employees and county employees, there might be a greater opening going forward, because they’d say ‘hey, you know, things worked out,’” Walker said Monday. Walker’s comment fell short of an endorsement. Yet it has drawn sharp reaction. 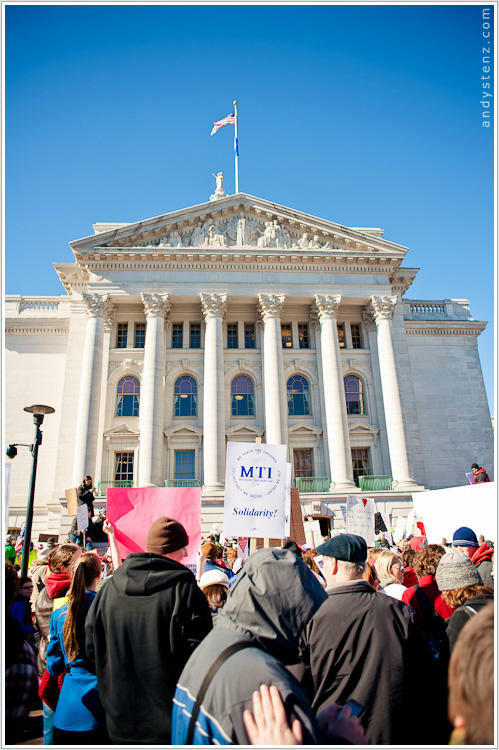 Some union leaders are not happy to learn their numbers and clout could shrink further in Wisconsin. “Gov. Walker taking away rights from any more workers in Wisconsin is outrageous. We see it as unnecessary and a disaster for public safety to take away union rights for police officers and firefighters,” says Stephanie Bloomingdale, of the AFL-CIO. Police need a unified voice to safeguard officers, according to Mike Crivello. He heads the Milwaukee Police Association. Crivello says police work is dangerous, so the union makes sure officers receive a fair wage and have reasonable schedules and protections. “We need that oversight that comes in and says, ‘hang on a sec here, we do have to have bullet-resistant vests for these guys.’ That’s what labor organizations have done for police officers, to make sure that the father comes home or the mother comes home to that family,” Crivello says. Crivello says he did not hear Walker’s comments, so he doesn’t want to jump to conclusions. However, even the hint of possible change bothers the head of the Wisconsin Professional Police Association, Jim Palmer, who says his organization is “tremendously disappointed.” Palmer says by even considering bargaining limits for first responders, the governor is reneging on a promise he made, when introducing Act 10. “Gov. Walker publicly expressed his belief that public safety was so fundamentally important, and that police officers and firefighters ought to maintain their rights to bargain over their wages, hours and working conditions,” Palmer says. Palmer suggests Walker may be changing his stance, in order to appeal to a larger audience – perhaps a national one. Another person wondering whether Walker is sending up a trial balloon for a presidential run, is UW-Stevens Point political scientist Dennis Riley. “My primary thought was, ‘why is he doing that -- what on earth is his long-range plan?’ And I think that’s probably why it got some people speculating about its role in a presidential campaign, because they couldn’t find any good reason for him to do that on the state level,” Riley says. Reilly says if Walker wants to seek the GOP nomination in 2016, he’ll have to take more conservative positions, such as coming down harder on all unions. However, next year, the governor will be up for reelection, and Joe Heim wonders whether the remarks could backfire. Heim is a political science professor at UW-La Crosse. He says if Walker curbs the union power of first responders, he could feel the impact at the polls. “In terms of numbers, police and fire unions are not enormously powerful. But frankly, their support in an election can be very significant, because I think people respect police and fire in general. So you lose a certain amount of legitimacy from that type of support,” Heim says. Quite a few public safety unions supported Gov. Walker during his recall election last summer. Gov. Scott Walker says other states should consider emulating Wisconsin in curbing the power of public unions. He also hinted he's open to doing the same to police and firefighter unions.